In case you missed the announcement of government about shutting down all the franchises in Pakistan, you will be surprised to know that in the name of counter-terrorism measures they have started the activity already. Along with mobile number portability (MNP) banned, the Pakistan Telecommunications Authority (PTA) banned the sale of all private cellphone company’s Subscriber Identity Modules (SIMs) in Khyber Pakhtunkhwa, acting on the directives of the Federal Interior Ministry, Dawn reported today. 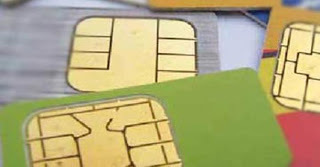 The ban involves the selling of cell phone SIMs at all company and franchise outlets. The decision to enforce the ban in the province was taken in view of the prevalent use of illegal SIMs in most terrorist activities in the province.